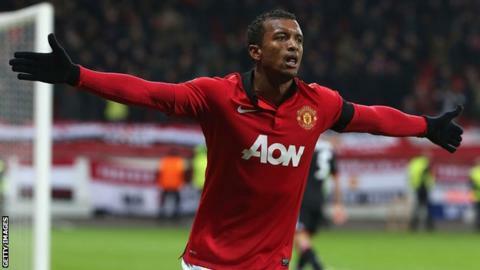 Manchester United winger Nani has been ruled out for "a few weeks" with a hamstring injury. The 27-year-old, who has made eight league appearances so far this season, has not featured since the 1-0 home defeat by Newcastle on 7 December. "[It] is a little bit worse than we thought," said manager David Moyes. Robin van Persie is already out for the next month with a thigh injury, while Wayne Rooney is doubtful for Saturday's game with West Ham. Portugal international Nani has featured sporadically under Moyes, although he requires just three more league appearances to match last season's tally of 11. The former Sporting Lisbon player signed a contract extension in September, which could keep him at Old Trafford until 2018.